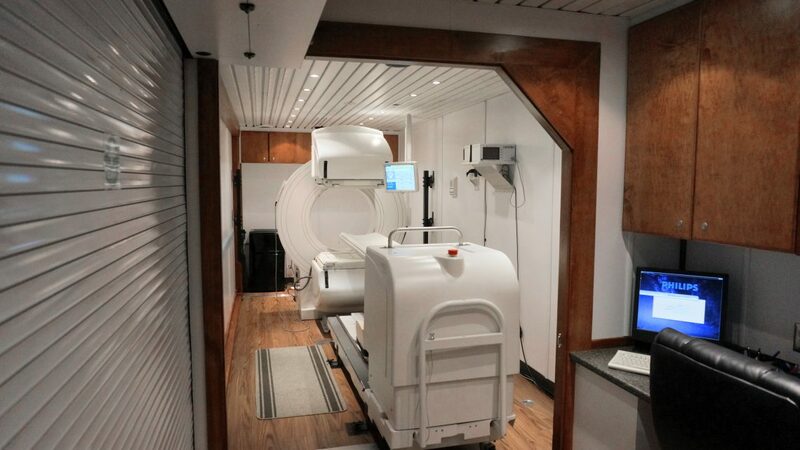 Front Range Nuclear Services provides the highest quality machines and most competitive prices in the mobile diagnostic imaging field. Whether you are a rural hospital or clinic that doesn’t have access to specialized medical imaging equipment, or a larger scale facility that is undergoing upgrades or renovations that inhibit your use of your diagnostic imaging equipment, we are here to help. Front Range Nuclear Services can deliver mobile and on-site solutions for all your diagnostic imaging needs from nuclear imaging to SPECT imaging. Most importantly, our techs and medical equipment can integrate with your current picture archiving and communication systems (PACS) quickly and seamlessly, allowing you to read images as quickly as possible.